If you have spent your life trying to lose weight and have now reached your 50s, then here are some ways in which you can finally reach your goal. 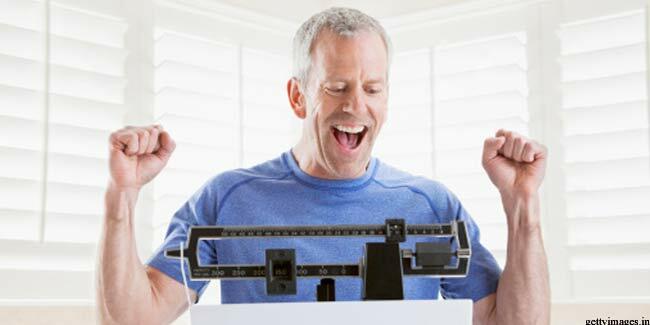 By the time men reach 50 their metabolism slows down considerably and testosterone levels drop. The result is muscular atrophy and weight gain. Weight loss can become increasingly difficult and they will need the right combination of exercise and diet. Reaching your weight loss goal can be easy if you take a look here below. Men over 50 should be careful with their diet. Gone are the days of heavy duty carb consumption. When you were younger your body could burn it all up. Now carbs will be stored in your body as excessive fat. Still, eliminating carbs from diet can be a foolish idea. Instead of processed and refined carbs like white bread and noodles choose the more wholesome oats and sweet potatoes.